Welcome to the fourth issue of the IRF (Geneva) Newsletter for 2018. We have spent the summer finalising activities for the reminder of the year and giving the final touch to our World Road Statistics 2018 in order to release the publication a bit earlier this year as many of you had requested. We thank TOTAL for the generous support to our work on data as well all the advertisers who contribute to make this work possible. This was a good year for our annual data harvest although the analysis of some of our WRS indicators shows some not too positive trends for our sector. You can read about latest findings on road maintenance expenditure in this newsletter. 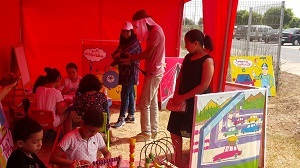 Early September we were in Morocco for a workshop organised – thanks to the support of the FIA Foundation - in the framework of the "Safe Roads, Safe kids!" project we are running together with the Motoring Club Morocco (MCM). It's a project about the power of collaborations especially when it comes to delivering safe journeys to school to kids around the world. With the Decade of Action rapidly approaching, Road Safety is more than ever at the centre of our activities. As you will see, we have several events and trainings lined up from now till the end of the year. 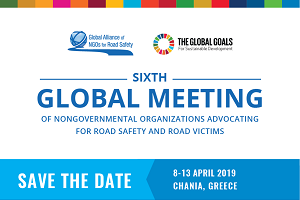 The road safety community will gather at the African Road Safety Forum in Marrakech to discuss plans for the future including the establishment of a Road Safety Observatory. We will close the year by looking at the future of mobility with an event to be hosted in Geneva together with the United Nations Economic Commission for Europe (UNECE). Good reading and we look forward to meeting you soon again! According to data reported by the Moroccan Comité national de prévention des accidents de la circulation (CNPAC), young people below the age of 14 represent 15% of all the deaths on Moroccan roads and are most of the time pedestrians. Many of them young kids going or coming back from school. 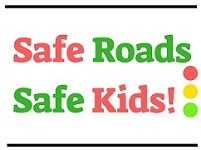 Against this background, the International Road Federation (IRF Geneva) and Motoring Club Morocco (MCM) have joined hands and initiated the project "Safe Roads, Safe Kids!" thanks also to the support of the FIA Road Safety Grant Programme. Under the patronage of H.E. 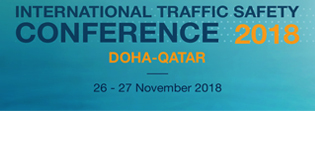 Sheikh Abdullah Bin Nasser Al-Thani, the Prime Minister and Minister of Interior for the State of Qatar, Qatar Transportation and Traffic Safety Center at Qatar University and the National Traffic Safety Committee at Ministry of Interior Qatar are pleased to invite you to participate in the International Traffic Safety Conference 2018 (ITSC 2018) which will take place on 26 and 27 November 2018 in Doha - Qatar. The conference is built around the vision "A safe road transport system that protects all road users from death and serious injury". Call for Papers for the International Conference on "Road Safety & Mobility"
In pursuit of its mission of reducing the accident related deaths and injuries on Indian roads, IRF India had recently organized the following events focusing on Road Safety. They are briefly elaborated below. IRF India Chapter Seminar on "Environmental Protection and Safety during Construction"
The IRF India Chapter organized a Seminar on the theme of "Environmental Protection and Safety during Construction" at the India International Centre, New Delhi on 13th – 14th July 2018. The Seminar was a part of IRF's relentless mission aimed at reducing the number of road fatalities and injuries caused by accidents in the country, a substantial part of which occurs, among others, during the construction of roads and highways. Warmly welcoming the participants to the Seminar, Mr. G. Sharan, Chairman, IRF IC elaborated on the long and distinguished record of various activities of IRF IC and the incremental knowledge that would emerge from the deliberations of the Seminar. 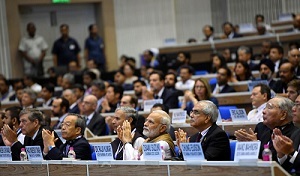 To showcase innovation and provide a platform to share the future of the mobility landscape, NITI Aayog hosted the first MOVE Summit 2018 in New Delhi on 7th & 8th September 2018. 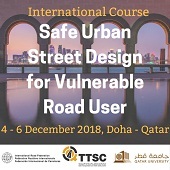 The initiative aimed at creating a public interest framework to revolutionize transport, in partnership with stakeholders from across the mobility and transportation sectors. Total Foundation encompasses the solidarity initiatives conducted every day worldwide by our sites, our affiliates and our corporate foundation. Through this global program, Total aims to contribute to development in our host communities and regions through our four priority areas of action: road safety, forests and climate, youth inclusion and education, and cultural dialogue and heritage. Our actions are especially targeted to young people, to provide them with tools to empower them to build a better future. Our projects are defined and implemented with partners chosen for their experience, to ensure we can provide an effective response to the challenges facing society. Our societal engagement is integral to our ambition to become the responsible energy major. 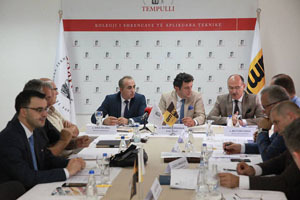 A roundtable discussion was organized by College "Tempulli" on "Analysis of the safety situation in Kosovo roads", aimed at checking the role of institutions in increasing traffic safety and undertaking concrete measures in order to improve the situation of safe circulation on the roads of the country. 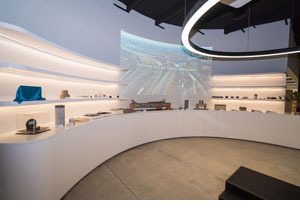 Australia's Deputy Prime Minister and Federal Minister for Infrastructure and Transport Michael McCormack officially opened the multi-million dollar National Transport Research Centre in Port Melbourne on Wednesday, September 5. It will be the home of ARRB – the National Transport Research Organisation – providing a one-stop shop for Australia's road and transport research. 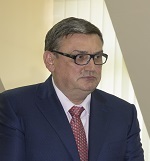 In this interview, IRF talks with the Diretor of the Public Enterprise "Roads of Serbia" about their plans for improving the quality of services provided to the road users through a series of new projects, rehabilitation and modernisation of the network as well a new toll collection system.